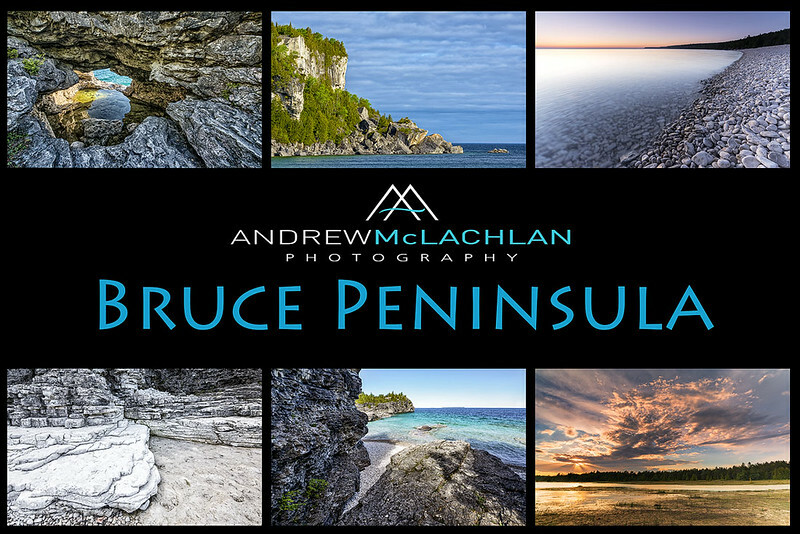 Join award winning photographer Andrew McLachlan on Ontario’s Bruce Peninsula May 27th, 28th, & 29th 2019 for 2 ½ days of in-depth photographic exploration. During this workshop we will visit some of the finest landscapes that the Georgian Bay coast has to offer. Embrace the beauty of turquoise waters and rugged limestone cliffs as we chase the light along the Niagara Escarpment - an UNESCO World Biosphere. Do note that there will be walking involved on woodland trails and rocky shorelines with uneven terrain. The longest walk to get on location will be roughly 20 – 30 minutes in length. Please do not hesitate to inquire should you have any concerns regarding physical limitations that may affect your ability to attend this event. During our excursions on the Bruce Peninsula we will likely encounter several species of native orchids that are only found in this location of the province. Upon our encounters with them we will pause to capture a few flower portraits along the way. •	Meet in the parking lot of Halfway Log Dump for sunrise / daybreak photo session at 5:00 a.m.
•	Sunset photo session at Singing Sands at 8:00 p.m.
•	Halfway Log Dump sunrise photo session at 5:00 a.m.
•	Depart for home 12:00 p.m.
To reserve your spot in the Bruce Peninsula Workshop please contact me by clicking here to arrange payment.